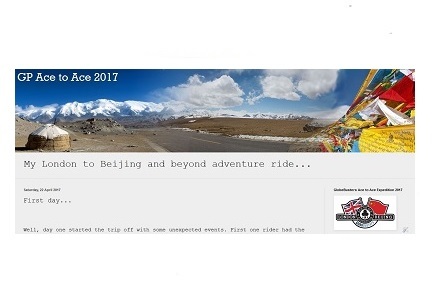 GlobeBusters Ace to Ace, London to Beijing, Motorcycle Expedition. Here on this web page, I will give you an insight on one of GlobeBusters most challenging motorcycle tours, through 19 countries over 12 weeks from London - UK, through to Beijing - China. 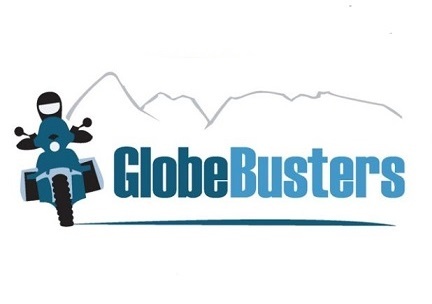 I had been looking at the GlobeBusters website and printed catalogue of tours for a few years, and had met Kevin and Julia Sanders at motorcycle shows as well as when they came to give a talk and slide show evening for the Cambridge Advanced Motorcyclists club. Such nice people and always keen to talk about motorcycle travel, that I knew some day I would be joining a GlobeBusters tour. In fact, I very nearly joined them in 2015 in Alaska but the trip got cancelled because not enough people signed up, so I rode it alone, which you can read about on my blog Alaska and on. Roll on to 2016, having done my solo adventure, I was ready to try and book a GlobeBusters tour again. I had been actively looking at their website once more and almost decided on the Patagonia tour which was happening in early 2017. I met Kevin on his stand at the Adventure Bike Shop open day in early September 2016 and whilst chatting to Kevin about the Patagonia tour, I noticed he had a large advertisement banner up about the London to Beijing 2017 expedition. I asked him why he was still promoting that trip as I thought I had read on the website that the closing date for bookings had been on the 31st August? He said, no, we still have a few spaces left and there is still time to join. I left without saying anything more about that trip, but it was firmly in my mind and as soon as I got home I discussed the idea with my better half, Karen, about me doing that trip instead. Despite it being significantly longer and more expensive, she was fully supportive of it, so the very next day, on the Monday, I gave GlobeBusters call and said I was now interested in doing the Ace to Ace, London to Beijing trip instead of Patagonia and proceeded to ask several questions on it. Kevin was very helpful and went on to explain that the coming weekend they actually have the pre-expedition meeting of the trip at their new headquarters in Norfolk, so if I could make that, then it would be of great benefit to me. Of course, as usual our weekends are booked up way in advance, but this was too good an opportunity to miss, so after speaking to our lovely friends, the weekend was re-arranged and I paid my deposit for the trip plus booked my place at the nearby hotel in Great Bircham for the Saturday night. Wow, this is exciting; I am finally booked on a GlobeBusters tour! The week flew by and I got an overnight bag packed, jumped on my motorcycle and headed off into Norfolk. At the meeting, most of the clients taking part and the GlobeBusters staff were present, so it was excellent to meet everyone. There were people from America, Canada, and Europe so it was going to be very much an international group. Kevin and Julia Sanders explained what we could expect during this epic journey and what we needed to do in order to prepare for the 3 months on the road riding through 19 countries. Karen came for the evening meal and to stay over in the fabulous room that I had booked. She met everyone that evening and said what a great bunch of people they all were and how it was going to be a super trip with such great company. On the Sunday, after more discussions, we had a motorcycle skills test, to prove we could handle our motorcycles, which I had no issues with at all. The only issue was actually with the bike itself as mine was a factory lowered BMW GS800 and Kevin was not keen on it being totally suitable for the trip after a previous client had problems with the same type of bike on the same trip two years before. As the new GlobeBusters headquarters were on the same site as Adventure Bike Training, they had use of their training bikes so I tried out a GS1200. I liked it very much and said so long as I could lift it up, I would get one. A few weeks later, I had traded in my GS800 and was now the owner of a 2012, GS1200 Triple Black, the last of the oil heads, and with spoked wheels, so we are off to a good start. Although I wasn't new to off-road riding, I thought it may be a good idea to get some extra off-road training using a GS1200, so I took part in an excellent one to one, single day riding and tuition with Kevin Hammond - expert off-road instructor of Adventure Bike Training in Norfolk. Bike preparation started, and I took advice from both Kevin Sanders and Kevin Hammond on this, selecting my accessories very carefully and not over doing it but doing just enough based on their endless experiences with the GS1200 over many years of riding and supporting them. One example was Metal Mule panniers, which had proved themselves time and time again. These together with a Kriega bag were going to make life loading and unloading every day for three months a straight forward task, and they were right! Another item that turned out to be one of the best things bought for the bike was the Sargent seat from Nippy Normans. Despite this being the low height version due to my short legs, this turned out to be the most comfortable seat I have ever had on a motorcycle, and throughout the 22,000 miles, I rarely got a numb bum! As for my riding kit, I had to think about the extremes of temperatures both hot and cold and although I am a great fan of Rukka clothing, they didn't do a good vented suit, so I went with Klim jacket and trousers from the Adventure Bike Shop in Sudbury. All other clothing was carefully thought about too, as you need to hand wash your clothes most of the time and it needs to be quick drying too so cotton was out and instead opted for more technical fabrics from various places like motorcycle specific stores and also outdoor clothing & equipment stores like Cotswold Outdoor. Again the advice from GlobeBusters was excellent on this. So once I had got most of the kit, it was time to test it out. One such journey was whilst collecting some more stuff from Touratech UK in Wales, and this proved to be a good shake down test for both the bike and kit. Thankfully there was only just a few minor tweaks to make, and overall I felt comfortable with the bike and kit for the upcoming expedition, though in myself I still had a few health issues that were making me nervous. There was one thing that I didn't do so well in before the trip, and that was reading up on some of the magnificent places we were about to visit. This was partly to do with time, as I am self-employed and getting things in place like cover for my business whilst I was away came of utmost priority, but also I thought it would be nice to just find these places at the time with no pre-conceptions. However, with hind-sight, a bit more knowledge would have been better in helping make decisions as what to focus on when we have little time at some places. 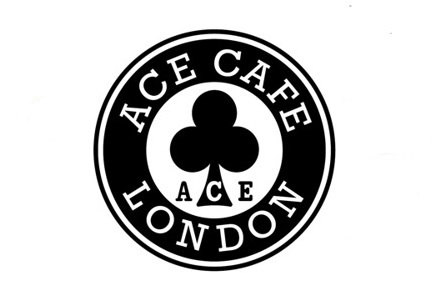 A video from the Ace Cafe, London on the day of departure. As for the trip itself, to get more details take a look at my Ace to Ace 2017 blog for more information about the experiences of this fantastic journey. What I will say here, is that the whole journey was amazing and run exceptionally well by the GlobeBusters staff. They in turn said it was thanks to all of the participants getting on so well together, which made their job easier. It would be easy to just look back on it at the Asian part, but the Europe riding had some great moments too. Nice back roads in Slovenia which brought us out to our hotel overlooking the picturesque Lake Bled. The coastal roads of Croatia were some of the best I have ever ridden, also helped by the fact that it wasn't in their tourist season so the traffic was much freer flowing than it would have been a few weeks later. Another delight was Istanbul in Turkey, where we got to see some wonderful city sights including the Blue Mosque. Leaving Istanbul we cross the Bosporus and this marks our entry into Asia. Further on in Turkey I took part in my first ever balloon flight at Cappadocia, where there were dozens and dozens of hot air balloons taking off to float in the clear blue sky, a truly beautiful experience. OK, it was not all wonderful, the roads in Georgia were terrible, with more pot holes than there was tarmac, but with adventure travel you have to take the rough with the smooth. Armenia and Azerbaijan were well worth the visit. The boat trip across the Caspian Sea, wasn't like any other ferry ride I have been on, but better than I had imagined! There were some long wait times at the borders in the Stan's but once through the borders it was interesting riding and great photo opportunities. The riding through the Wakhan valley was fantastic and was pure adventure riding all the way. Entering China was a long drawn out affair, partly due to a new man in charge so we had to come back the following day to collect our bikes. The riding in China was a bit chaotic and you just had to blend in and do what the locals do although being very observant all the time as to what was going on around you. Forget western traffic laws, they have their own system which we soon adapted to, becoming as crazy as they were seemed to work very well. The high altitudes took their toll on me a bit, but we all got through without anyone being too sick so that was good. Scenery was magnificant in Tibet and I was glad I didn't have to carry around rolls of film otherwise one pannier would have been full with that alone! the further East in China we went, you could see that in the cities the population were getting fatter because of all the junk food. there normal Chinese food was pretty good although it was hard to find many dishes that had the breast meat of chicken in it. We reckon they must give that to the dogs! The reception at the Ace Cafe in Beijing was superb, and we were all made to feel like stars for the afternoon/evening with lots of locals wanting their photos taken with us and talk about our bikes. There was some great food and drink was laid on and our bikes stayed there for the night so we could indulge in some alcohol during the celebrations. Take a look at the video here that was created during the 2017 Ace to Ace Expedition. Another video taken from a riders helmet camera shows just how crazy some of the driving is in China. If you are interested in taking part in the next GlobeBusters London to Beijing Expedition, click here. After Beijing, some of us continued on with GlobeBusters for their first ever trip to Japan via South Korea. More about this another time so keep watching this space!